Match Roma-SSC Napoli Serie A the fixture is set to kick-off today 13:00 on Stadio Olimpico, Rome. Refereee Gianpaolo Calvarese. Team Roma is located in the middle of the table. (6 place). Last 5 games (league + cup) finished balance 9 points. Roma has not been defeated at home from 8 matches. The best players Roma in Serie A, who scored the most goals for the club: Stephan El Shaarawy 9 goals, Edin Dzeko 7 goals, Aleksandar Kolarov 7 goals. Most goals developed: Stephan El Shaarawy 2 assists, Edin Dzeko 3 assists, Aleksandar Kolarov 2 assists. Injured players Roma: Alessandro Florenzi, Javier Pastore, Stephan El Shaarawy. 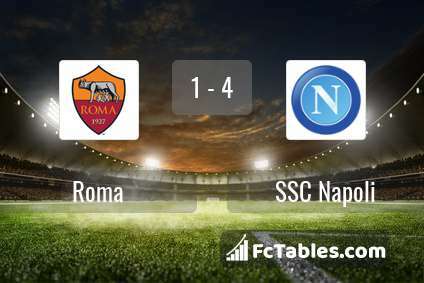 Team SSC Napoli is at the top place in the table (2 place). SSC Napoli in 5 last matches (league + cup) have collected8 points. Not lost the match away from 4 games. In this season games Serie A the most goals scored players: Arkadiusz Milik 15 goals, Dries Mertens 9 goals, Lorenzo Insigne 9 goals. They will have to be well guarded by defense Roma. Most assists in the club have: Arkadiusz Milik 1 assists, Dries Mertens 9 assists, Lorenzo Insigne 6 assists. 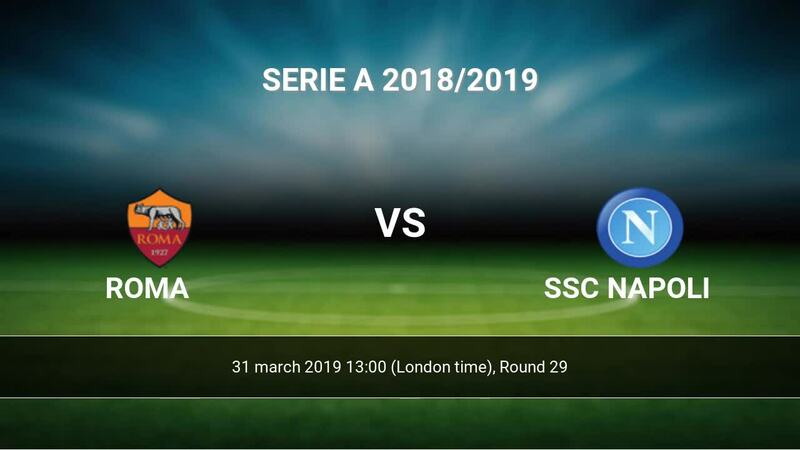 Injured players SSC Napoli: Vlad Chiriches, Lorenzo Insigne, David Ospina, Faouzi Ghoulam, Raul Albiol, Amadou Diawara. Direct matches: Roma won more direct matches. 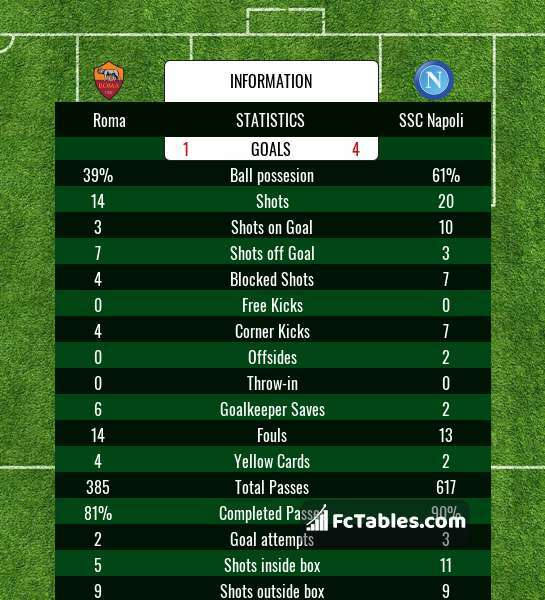 Roma won 14 matches , SSC Napoli won 8 direct matches, was a 7 draws. In 17 matches the sum of the goals both teams was greater than 2.5 (Over 2.5), and 24 matches teams scored more than 1.5 goals (Over 1.5). In 15 matches the both teams scored a least one goal (Both teams to score).